The effects of climate change have made extreme weather unpredictable and cities need to be resilient to face its consequences, said Professor Rebekah Brown. She said it will be a global challenge when there are more environmental refugees due to climate change in the second half of this century. “The effects of climate change have caused more droughts, more floods and a significant amount of pollution. “We used to be able to predict cyclic floods and droughts as part of the normal season but with the exasperating effects of climate change, we now accept that it is unpredictable, and as such, we need to be resilient,” she said. 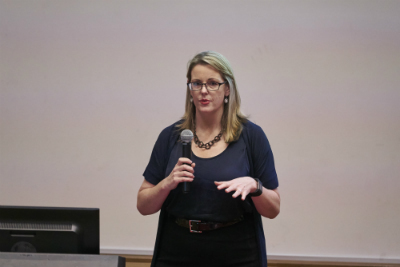 Professor Brown, who is the Director of Monash Sustainability Institute, was speaking at the Sir John Monash Lecture on Realising Sustainable Water Management in Cities, at Monash Malaysia recently. She said at Monash University, green infrastructures have been innovated to address some of the issues brought about by climate change. “The engineering department, in particular, has been looking at using natural plants and soils to clean water in the last 15 years,” she said. As a practicing and award-winning civil engineer, Professor Brown said the natural engineered system that relies on photosynthesis, absorbs dirty chemical in the processes to clean rainwater and dirty water from the toilets. A similar green infrastructure, she said, was built in Singapore to treat and clean rainwater naturally at the Marina Barrage project to provide water supply for the city-state. Another innovation from Monash University, she said, is the porous pavement that works like a dam or water catchment under the roads. “Porous pavements allow water to permeate through the holes and be harvested for water supply. “In Kuala Lumpur, this will be perfect as there are concretes everywhere,” she said, adding that the water can later be treated and used without using fossil fuel. Professor Brown also shared how buildings can be the cooling mechanism for a city by having green walls, which is a vertical planting system that allows water from toilets and basins to be treated naturally. “It makes buildings more beautiful and at the same time, improves respiratory health,” she said. Developing cities, potentially have a better chance of becoming water sensitive cities than technologically and institutionally locked-in developed cities. “For many Asian cities, the livability is low but the ecological footprint per capital is also low. “The opportunities are here for these cities to grow and develop by increasing their livability and keeping their ecological footprint low, through making smart decisions about city planning,” she said. It will take approximately 25 to 50 years for a city to transition to a water sensitive city. To drive sustainable development, it is important to get the community involved to bring about major behaviour change before a city can transition. “In Melbourne, there are a lot of co-design and co-management, whereby the community gets a say on how they want a green infrastructure to look, feel and work,” Prof Brown said. She shared that there are also bridging activities, where researchers, government agencies, private sector and non-governmental organisations discuss the problems that may arise from implementing green infrastructure and their solutions. The talk was organised by Monash University Malaysia as part of the Sir John Monash Lecture, in partnership with the Jeffrey Cheah Distinguished Speakers Series. 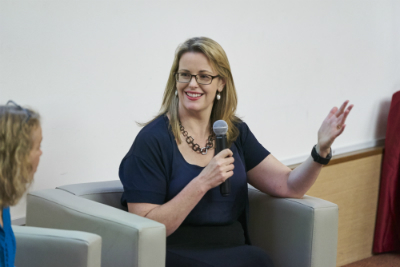 The Sir John Monash Lectures engages high-profile thought leaders in the spheres of policy-making, corporate and academia to address key issues pertinent to stakeholders around the region.